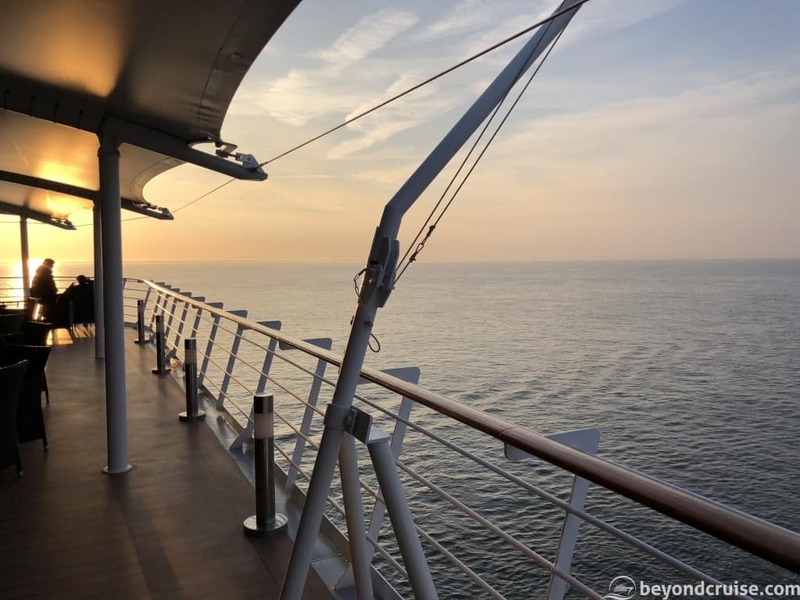 Time flies – we are leaving the ship tomorrow. 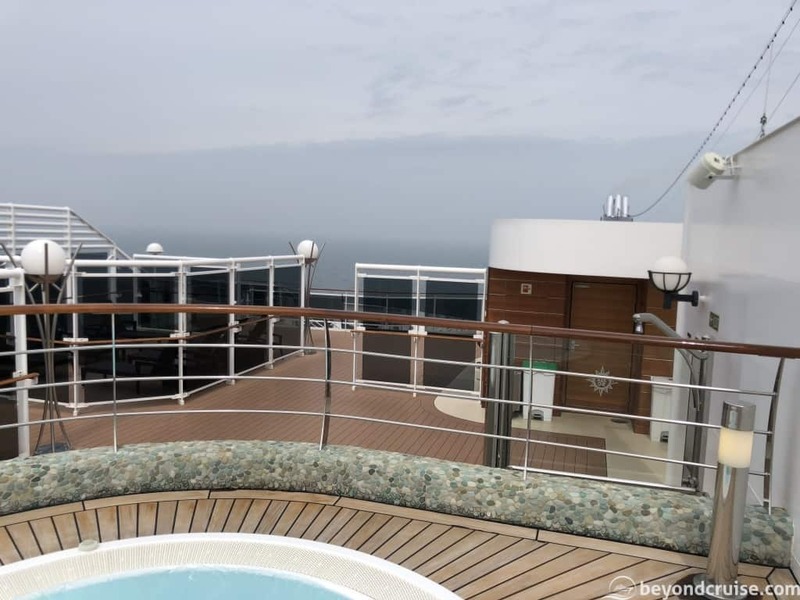 For us, it is too soon; we are loving MSC Magnifica – she is a lovely ship to sail on and the crew are very friendly. We don’t feel like we’ve had enough time on her! This morning we were up bright and very early. Filming the selection available for breakfast at the Sahara buffet at 6.15am, the Royal Theatre at 7.15am and other public areas of the ship. There is so much to document before we get off tomorrow – it is going to take us quite a while to process everything when we get back! We returned to our cabin at around 9am and the weather has cooled a little from yesterday’s warm breeze in Hamburg. 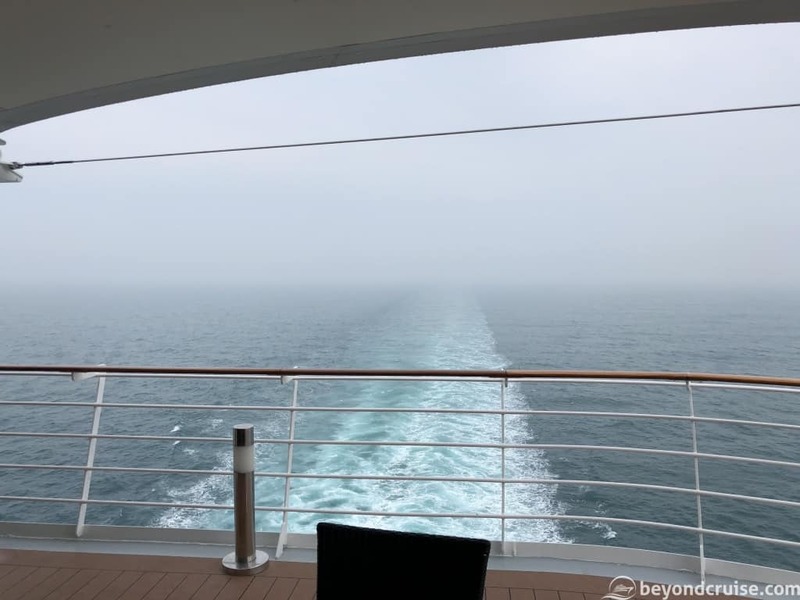 We are now making our way Southerly through the North Sea and en route to the Port of Southampton, our final destination. As today is a sea day, everything is open on the ship and there are many activities for the passengers. We changed and went up to T32 (the nightclub and games area) on Deck 14 at the rear of the ship. We had a quick game of ten-pin bowling whilst it was quiet and I have to say it must have been luck that Sara beat me and nothing to do with the fact I was out of practice! Afterward, we briefly went outside and admired the views from the back of the ship. I have to say, this ship certainly has a lot of open decks for you to admire the sea. There are a lot of ships out there that seem to miss the point for me and focus mainly on activities and venues indoors, meanwhile, you miss not only sea views but the fact you are at sea! After, we headed back to our cabin and dropped off our gear and headed to Deck 15 towards the front of the ship. From here you gain access to Top 16. 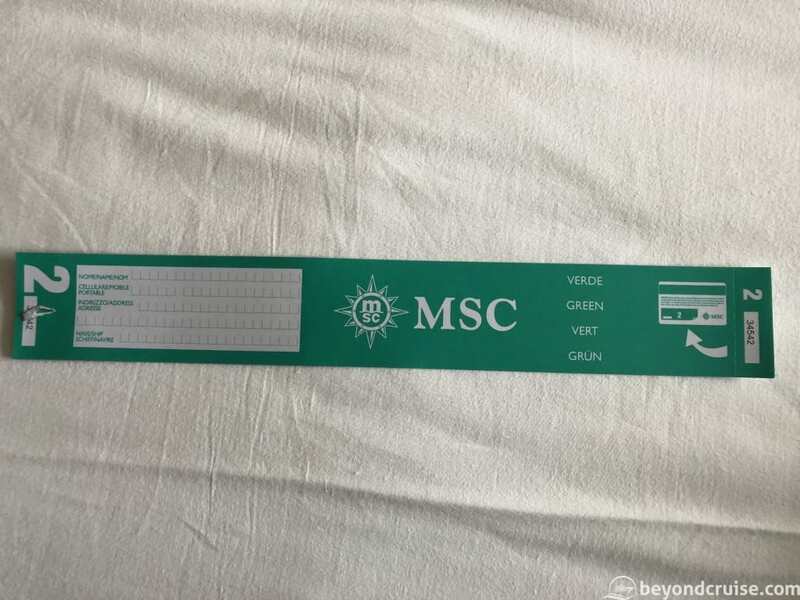 Unlike newer MSC Cruise ships, MSC Magnifica doesn’t have the new Yacht Club and a separate area for their passengers. 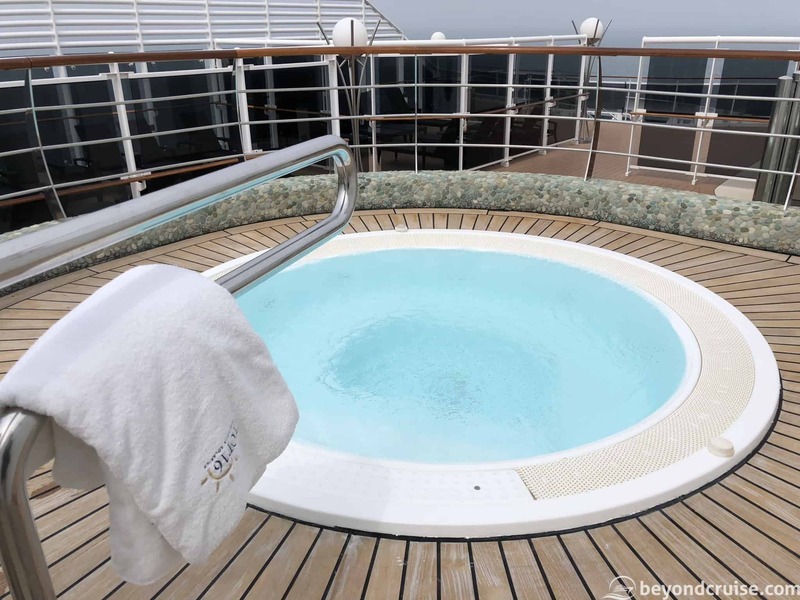 Instead, it has the Top 16 Exclusive Solarium. 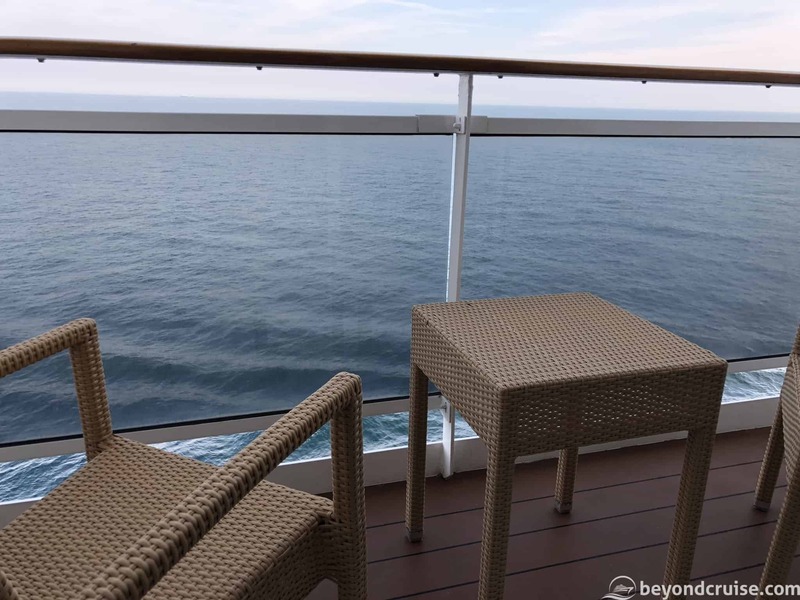 An area at the front of the ship on Deck 16 that is either pay-as-you-go or fully inclusive with the MSC Aurea experience (there are other perks to this experience too). Top 16 offers luxury sunbeds, two-people cabanas, two large hydromassage hot tubs and its own private bar (Il Bar del Sole). Additionally, they also offer you rugs and Top 16 towels on each of your visits. It is open and crewed from 10am-6pm most days, including port days. We showed our cruise cards to the friendly member of staff at the Top 16 entrance and he gave us each a towel. 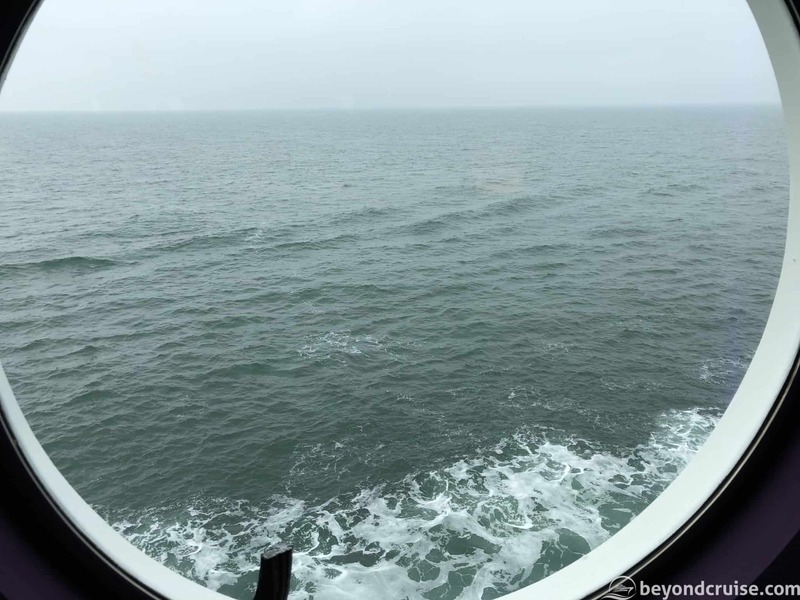 We then headed over to one of the hydromassage hot tubs and quickly got in – the North Sea breeze is a little stronger than earlier and it is pretty cold out! Thankfully, the hydromassage hot tub was at a lovely 37c – perfect! After enjoying the various water and air jets in here for around 25 mins, we got out and sat in one of the sheltered sun lounger areas. A waiter came over and took an order for any drinks we requested and we spent about an hour here just relaxing and enjoying the sea views. This would be absolute heaven if it was a little warmer! By now it was time to head back to the cabin for a shower and go for lunch. There are numerous activities on around the ship today with it being a sea day and we are looking forward to the Oriental Cooking Demo being held at the Oriental Plaza restaurant that we ate at the other night. It isn’t until 4pm, so we are heading to the Sahara for some fresh pizza – possibly for the last time. In case we didn’t mention it, MSC Magnifica offers fresh pizza from 1130am until midnight daily. It is inclusive and there is a pizza-station in the Sahara buffet on the left-hand side as you walk in. Four types of pizza are made each day from a list of twelve. They rotate different flavours daily, so if you see your favourite it one day – don’t worry, it may return in time before you get off! The pizza slices are thin-based and are a generous slice. Obviously, with it being the buffet, you can help yourself to repeat servings if needed! After pizza, we headed down through the ship and saw people choosing photographs from the many that have been taken by the ship’s photographers during the cruise and we also ordered our cruise DVDs. We’ll cover those in another post when we have them! In the Tiger Lounge, there was a lecture about the ports of Southampton and Le Havre, for those that had just joined the ship in Hamburg. La Barchetta Bar had a table-tennis tournament on and there was an Arts & Craft session on in the Topazio Bar. All looked to be well-attended and enjoyable. 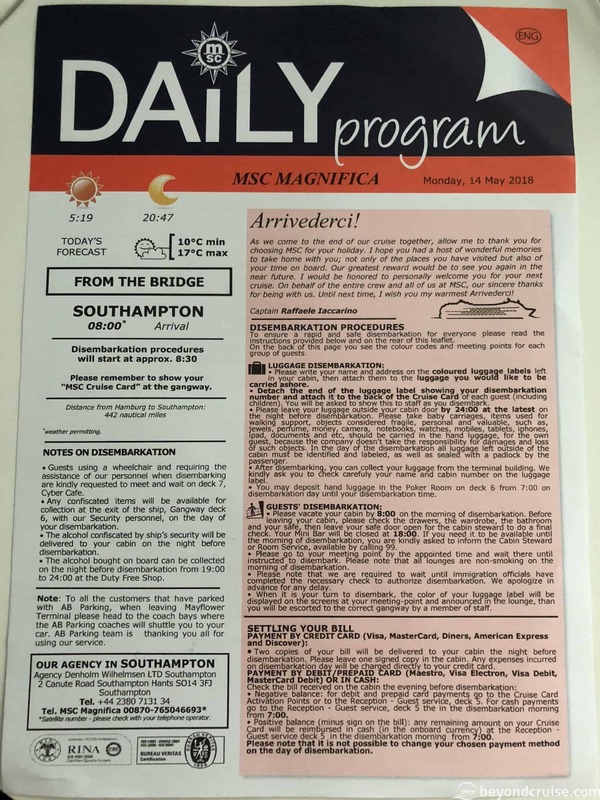 We made our visit to the Immigration staff (who were based in the L’Ametista Lounge) who wished to check all passengers face-to-face with their passports before we arrived in Southampton (think passport control at an airport, but on your ship instead – so, no jokes or smiles please). Then we headed to the Oriental Plaza for the cooking demonstration. Actually, it was more of a food preparation demonstration than cooking, as the talented chef showed us how to makes four types of sushi. With such elegance using just a knife and his hands, he created four wonderful dishes for us to gaze over in no time! 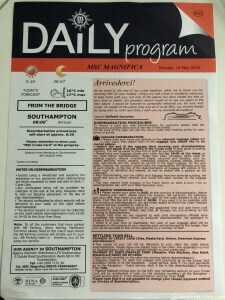 If you attended you also received a 15%-off voucher for a meal in the restaurant during your cruise! It was now time to head back to the cabin to continue the dreaded packing. Packing is something I would rather not do. For a start, I almost always buy things whilst away – whether it be souvenirs or merchandise from the ship, I end up with more than I came on with and who packs leaving-room? I am afraid I am a serial over-packer too, especially when going on a cruise. 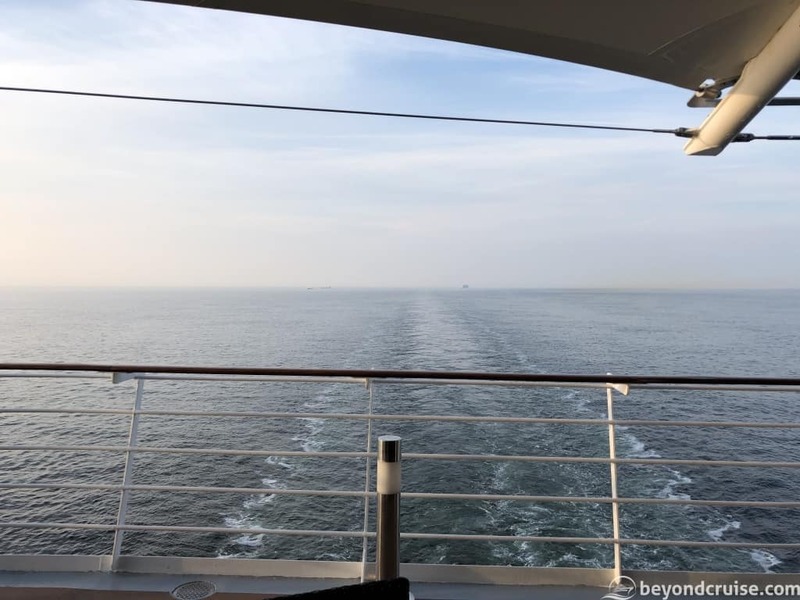 Packing was made harder with this cruise heading right to the Southern tip of Spain and then only a week later, Hamburg – who knew what the weather would be doing?! 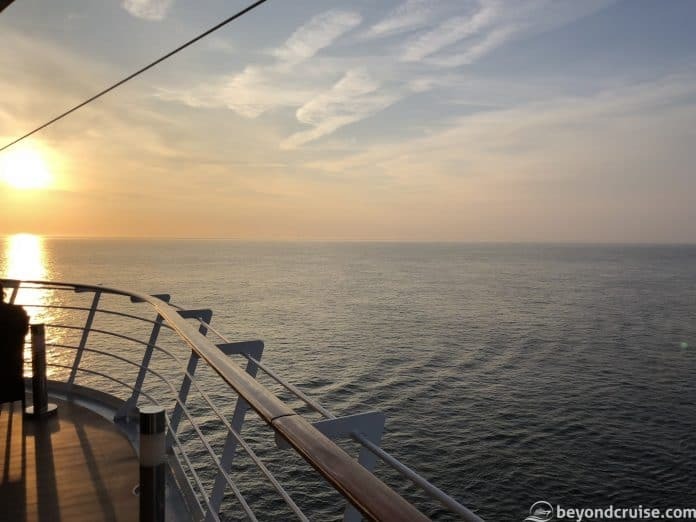 Secondly, I don’t like the last hours of my holiday to be used up doing something that doesn’t feel cruise related – I like to savor every last minute onboard! Currently, we are near the coast of the UK and France – passing through one of the most congested areas of the sea in the world. Thankfully, due to the TSS (Traffic Separation Scheme) ships don’t hit each that often whilst passing through here! They have lanes they must stick to. This keeps the opposite flow of traffic well apart from each other. But you still have to watch out for the cross-channel ferries that sail between Dover and Calais! Behind us, is AIDAperla – who seems to have been following us around for days! She is now en route to Le Havre, this seems a long time ago since we were there! We watched our final sunset from the terrace area of Deck 13 and then worked late into the night filming areas when the had quietened down. 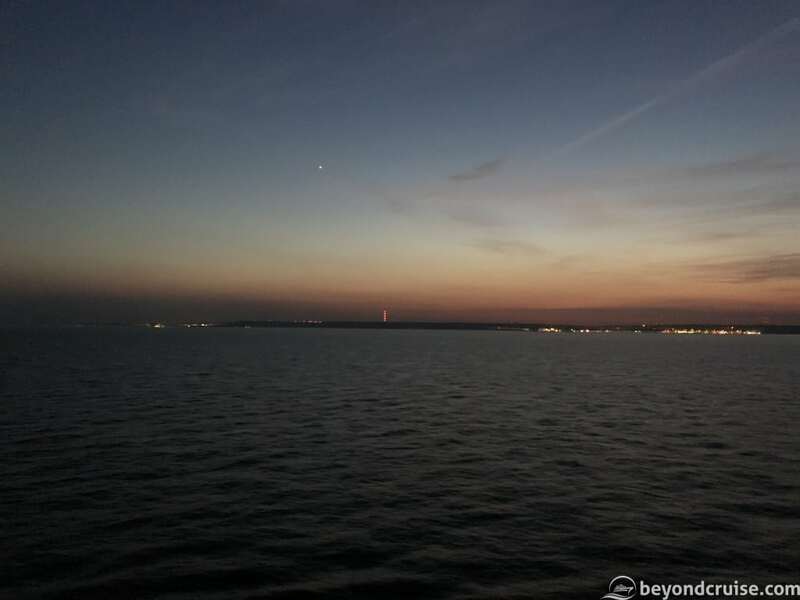 We are now due into Southampton at around 5am and will disembark probably around midday as we still have the Spa to film and a few other bits to finish off.